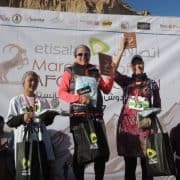 marathon of Afghanistan Archives | Untamed Borders - Adventure travel..
Last month we took a group of 15 runners to compete in the third edition of the Marathon of Afghanistan – Afghanistan’s only mixed gender sporting event. Here are a few snaps to give you an impression of their experience. There are some great shots of the start of the race in this report by NBC. The Marathon organisers are currently trying to raise additional funds to expand a mixed-gender marathon training group that they support. If you are keen to help out then click here for more details. 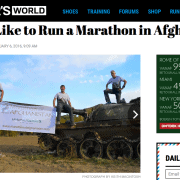 In 2016 Martin Parnell joined us for the 2nd ever Marathon of Afghanistan, inspired by a newspaper article he spotted in 2015 about the marathon and the first ever female Afghan to run it. Martin had been hospitalised in early 2015 with a massive blood clot on his brain. He became determined to participate in the marathon the following year and help support the women participating in the 2016 Marathon of Afghanistan. On arrival at the Marathon, Martin became aware of a female runner being supported by an NGO, ‘Free to Run’, who work with women and girls in communities affected by war. Martin has run over 330 marathons, 250 of which were in the space of one year. Something for which he holds a Guinness World Record. In fact, he has set 5 world records. 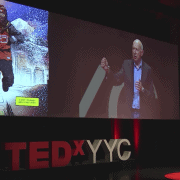 We are proud to be a part of Martin’s journey, his TED talk is certainly worth a watch…just be prepared to be inspired! If you are interested in joining our package to the Marathon of Afghanistan, you can view more details here. This package offers travel and entrance to the fifth edition of the Marathon of Afghanistan – the only international marathon in the country. The Marathon of Afghanistan will take place in the Bamian province, amidst the mighty mountains of the Hindu Kush in central Afghanistan. The astonishingly beautiful valley, a UNESCO world heritage site, is recognised as one of the safest provinces in the country and remains almost completely untouched by violence. The fifth edition of the marathon of Afghanistan will take place in 2019. 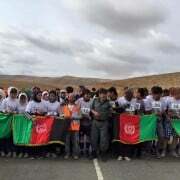 It was the first international marathon that was run in Afghanistan. The trip will be led by Untamed Borders founder James Willcox. We will meet you at Kabul Airport and show you a few places of interest in Kabul before flying to the beautiful and peaceful Bamian valley. We will also have time to visit the remains of the world’s largest standing Buddha statues that overlook the town and the ancient cities of Shah e Zohak and Shah e Golghola. Difficulty – Well, you have to run a marathon. Comfort – There is some level of comfort. The rooms have en-suite bathrooms and sometimes during the day there is hot water, but not for the entire day. Untamed Borders is the official logistics and travel partner for the Marathon of Afghanistan. 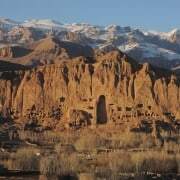 The marathon will take place in the Bamian province, amidst the mighty mountains of the Hindu Kush in central Afghanistan. The astonishingly beautiful valley, a UNESCO world heritage site, is recognised as one of the safest provinces in the country and remains almost completely untouched by violence. The inaugural marathon will take place in autumn 2015 and will be the first international marathon to be run in Afghanistan. This first race will be used as a reconnaissance trip for the following year when the team hope to run another more established race.